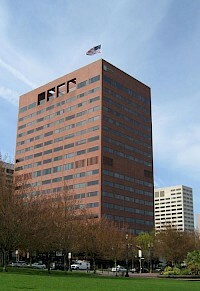 Umpqua Bank Plaza is a 19-story tall office tower in Downtown Portland, Oregon, United States. Faced with red brick, the structure is 263 feet (80 m) tall and has 265,000 square feet (24,600 m) of space. 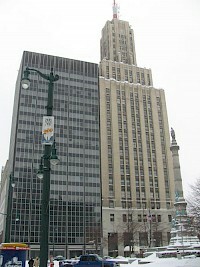 Opened in 1975 at a cost of $16 million, the building was designed by Wolff, Zimmer, Gunsul, Frasca (now known as ZGF Architects). Originally named the Benjamin Franklin Plaza after tenant Benj.